Protect you Star Wars: Armada Profundity. In this Half-Size inlay the MC75 Profundity is perfecty protected. 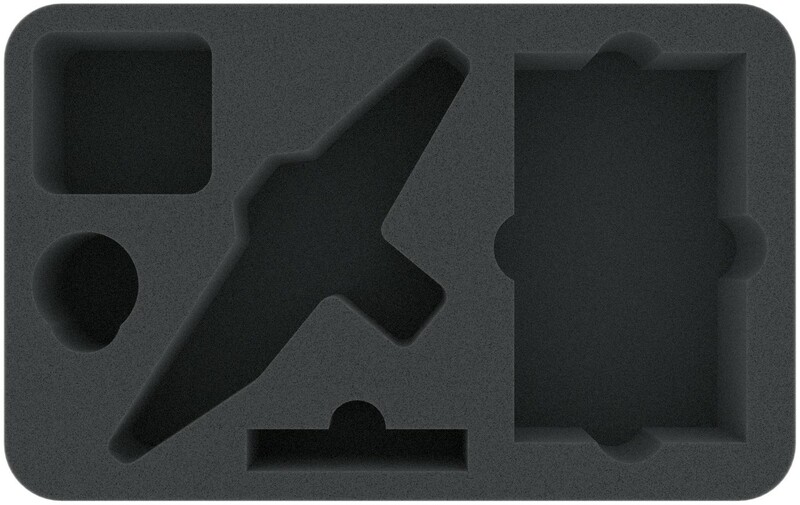 In the four furhter compartments you have space for the base, tokens, cards, Command and Speed Dials. 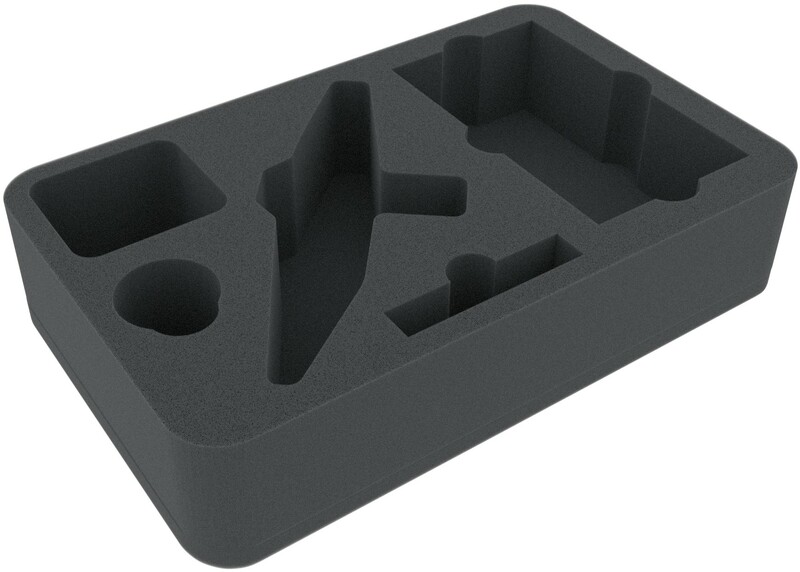 The foam tray is specially developed for MC75 Profundity. 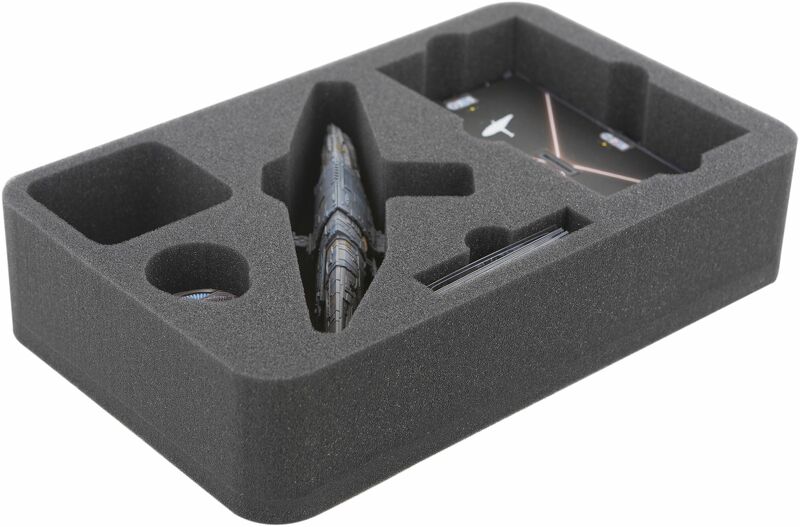 The entire game material and the cruiser are perfectly protected by the indiviually designed compartments. 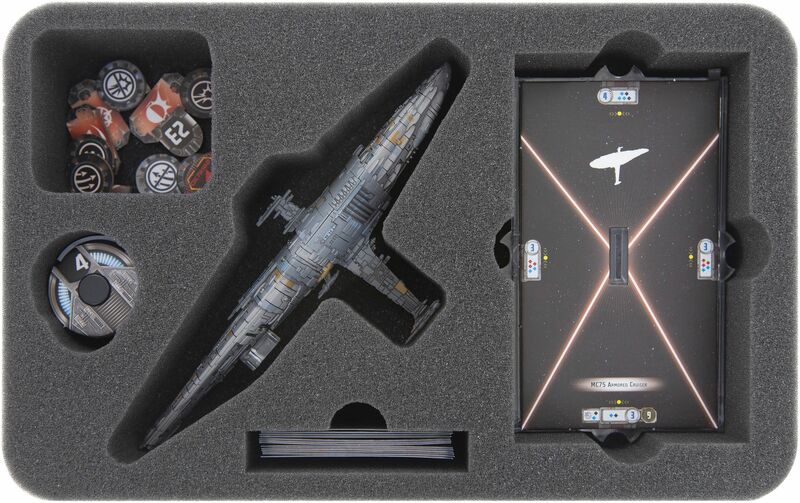 Find out more Star Wars Armada products - click here!